Be My Eyes attended the Tech4Good awards in London, where we were honored to receive two awards. 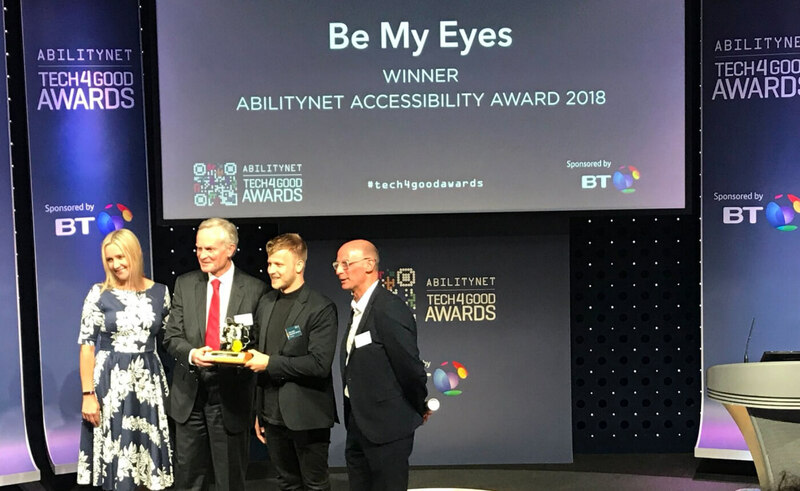 Be My Eyes Community Director, Alexander, accepting the Abilitynet Accessibility Award at the 2018 Tech4Good Awards in London. Technology can help transform the lives of people with disabilities. This is not only a mission of ours at Be My Eyes, but a key theme among the winners of the 2018 Tech4Good Awards. At the 8th annual ceremony on July 17th in London, more than 200 people came together to celebrate this year’s results. We are overjoyed to be honored with the AbilityNet Accessibility Award and the Winner of Winners Award. At Be My Eyes, we continually strive for high standards of accessibility. It is imperative to how the app functions but also a necessity to supporting the blind and low vision community. We look forward to future opportunities to use the power of technology to make a social impact and it’s been a pleasure taking part in Tech4Good’s annual celebration. 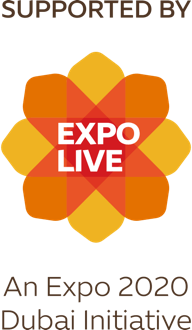 Be sure to check out the full list of winners from AbilityNet’s news blog.